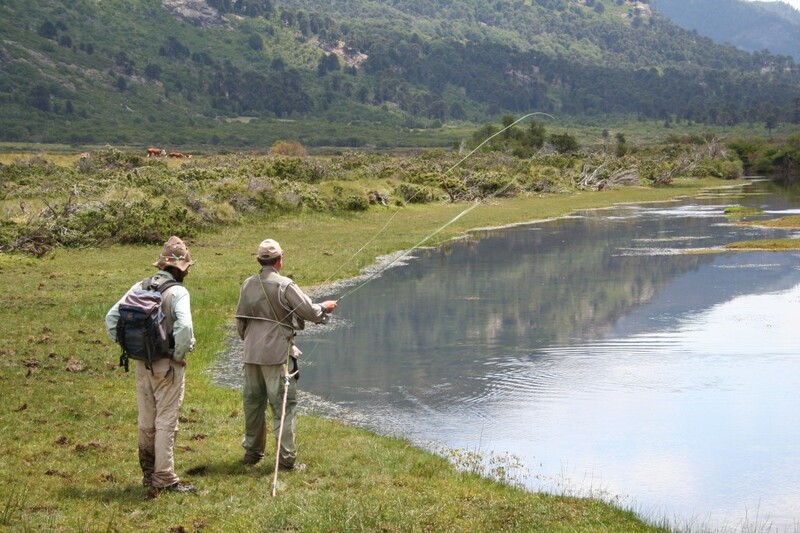 Around Junin de los Andes you can find streams and small creeks were fishing them is one of the most technical and fine fishing around, precision, soft presntations and well managment of the line are a must.taking the best out of you. This spring creeks have in common cristal clear , cold and slow moving water, were they are just a few fish, but their size is really important. You have to stock them, embush them, study them. Sight seeing trout and then casting is the best and most productive ways, you reduce a lot your chances when you are fishing blind specially when is hard to know were the fish are. Thats why using a partner that spot the fish and tells you what they are doing is a really important tool to have. For all these reasons we consider spring creek fishing the most technical and fun. Here are some of the most know spring creeks around: Filo Hua Hum, Malalco and Calfiquitra.